Every Sunday, I go to my parent's house so I can hang out with my dad while my mom goes to church. I make Dad breakfast, push him in his wheelchair around the block with Cidney the Girl Dog and currently, watch some football or baseball. Since the games don't begin til 10 am, we watch the Food Network in the morning. 9 am is The Pioneer Woman and 9:30 am is Trisha Yearwood. 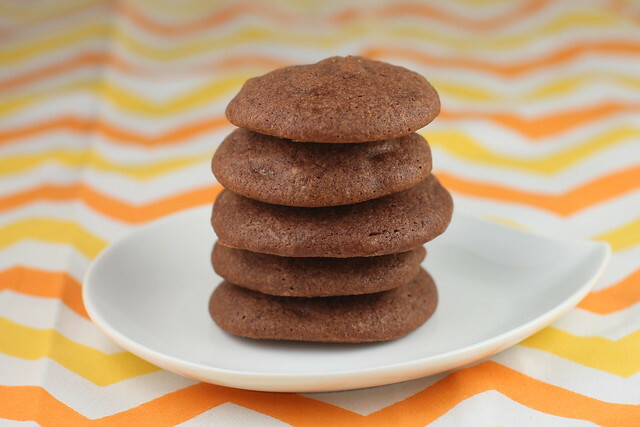 On a recent show, she made these Brownie Batter Cookies along with her college girlfriends. It was a sweet show and reminds me of my longtime college friends. Note to self: Need to get together with them and make them cookies! 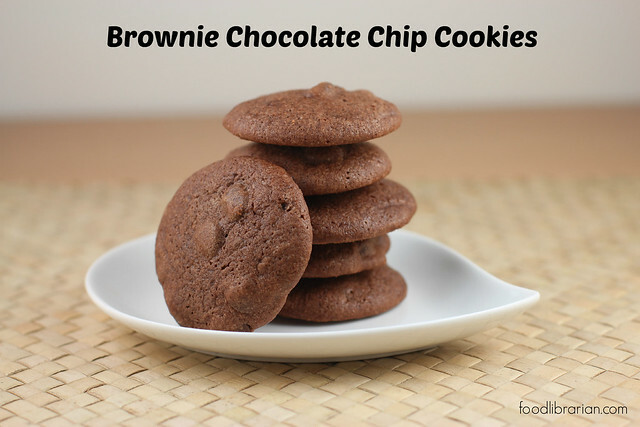 Whether you are getting together with college friends or hanging out with the family, you can make these brownie cookies! They bake faster than brownies and everyone can have a few. I made half the recipe and scooped smaller cookies (because I got 2 dozen cookies when it should have only made 1 dozen). Here are my measurements and instructions; you can find the original recipe from The Food Network here. 1. Preheat oven to 350 degrees F. Line baking sheet with parchment paper or Silpat. 2. Melt the unsweetened baking chocolate bar in the microwave and let cool slightly. Or melt over a double boiler (it isn't much so the microwave is easier). 3. Sift together flour, cocoa, baking powder and salt into a bowl or piece of parchment and set aside. 4. In a stand mixer with the paddle attachment, cream butter, granulated sugar, brown sugar and melted chocolate until smooth. 5. Add egg and mix until fully combined. 6. Add the flour mixture slowly until just mixed. Then add the vanilla extract. 7. Use a spatula and fold in the chocolate chips to the batter. Batter will be thick. 8. 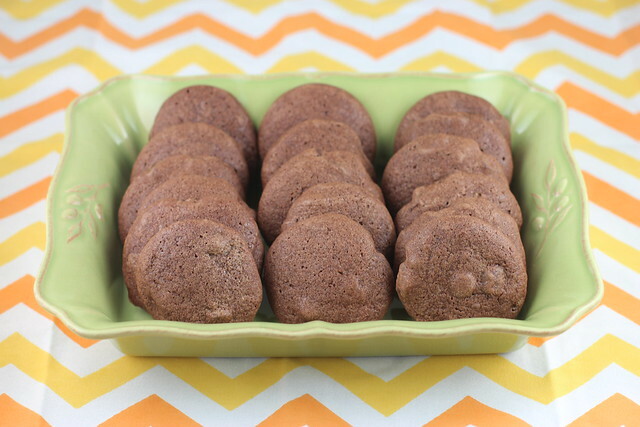 Drop cookies onto sheet and bake for 13-16 minutes, depending on your oven and the size of your cookies. See the original recipe on the Food Network's website here. Oooo... brownie and cookie all in one, awesome! I really love brownies, and anything chocolate really. I may have to try these soon!